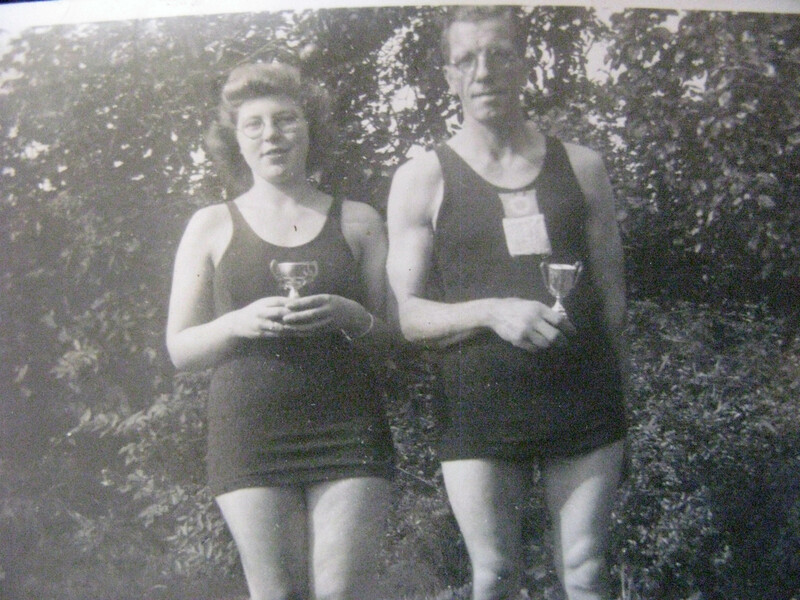 Dunkels Cup: Presented by sports fan and philanthropist Ernest Dunkels to the winner of the long swim. A fascinating piece of history, it suggests that the long swim was originally held from Cookham to Boulter’s Lock, moving to its current location in 1923. You can also see that the Badcock name makes an appearance as early as 1923. 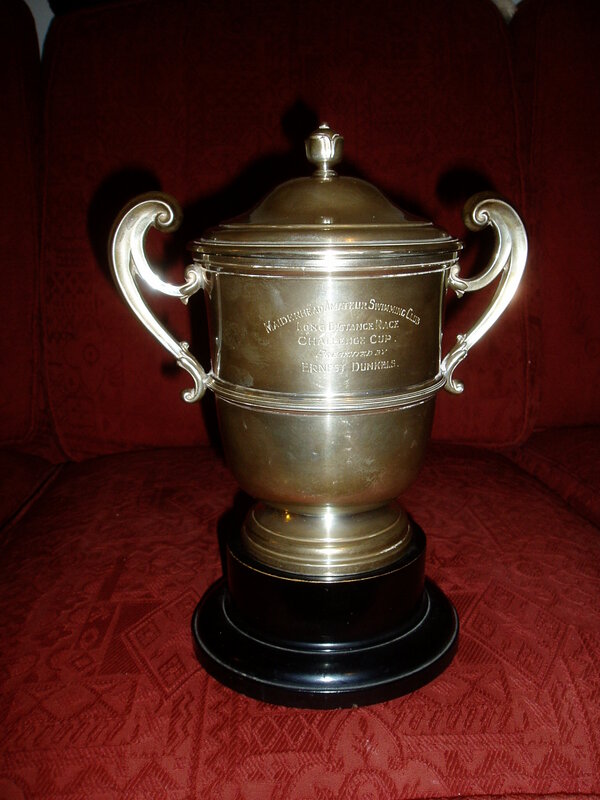 This trophy – a half-size copy of the original that each winner could keep – is owned by the grandson of successful long-distance swimmer Cyril Bright. 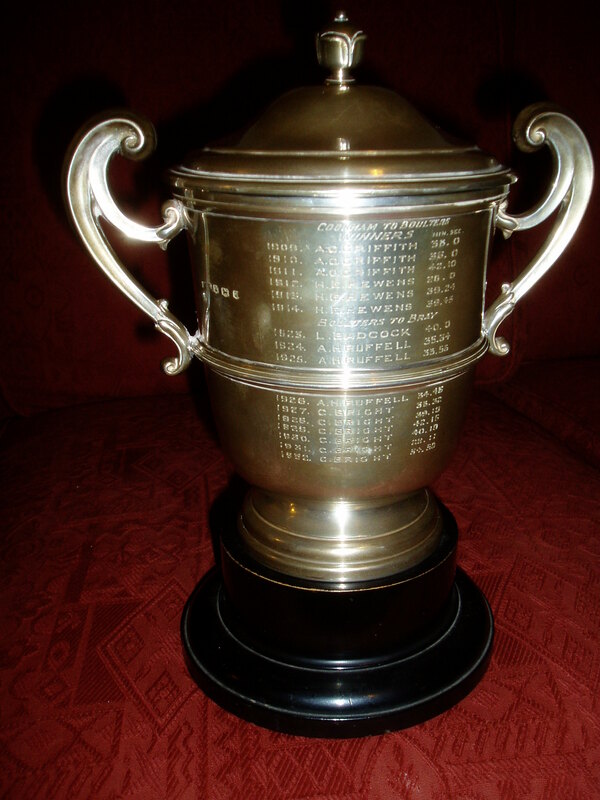 A transcription of the list of winners can be seen here. Swim stars: Maidenhead Swimming Club was hugely competitive, organising a large number of events, the highlight of which was the long swim that rounded off the season’s swimming. 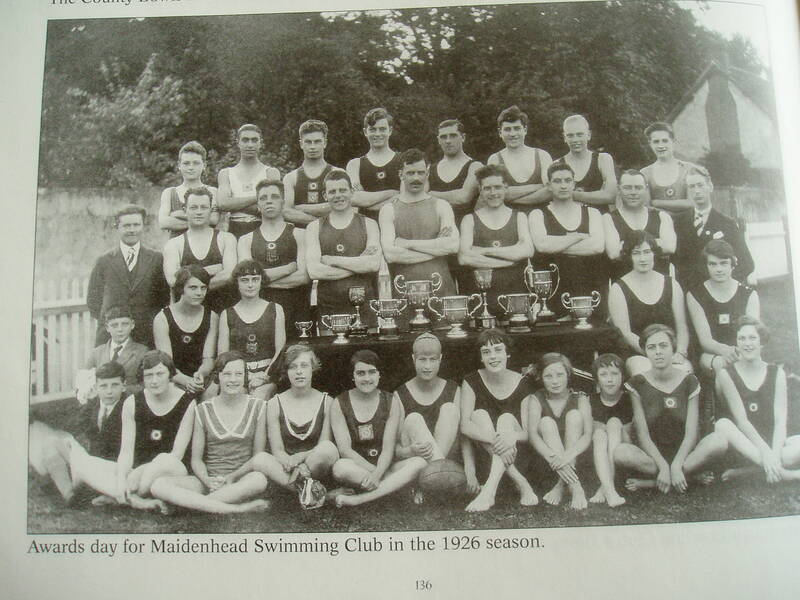 Cyril Bright, who won the swim from 1927 to 1932, can be seen 3rd from left in the row behind the table.